The Target Saver: Target: Crock-Pot Slow Cookers, as Low as $8.07! 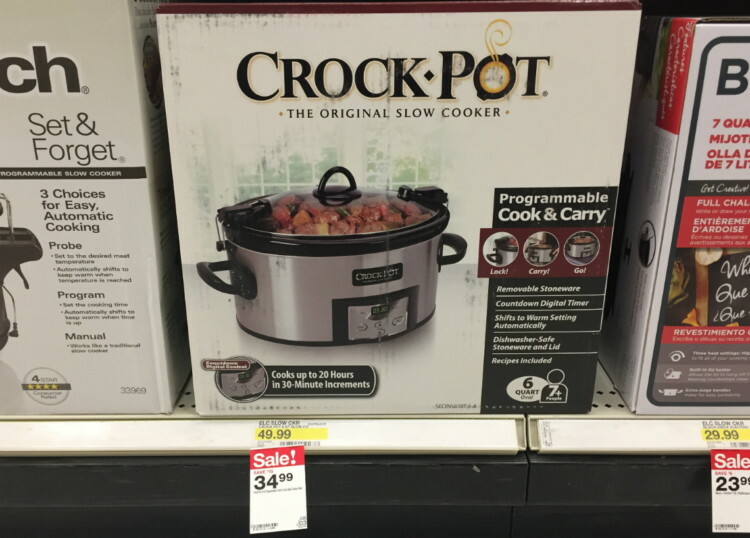 Target: Crock-Pot Slow Cookers, as Low as $8.07! Just in time for Superbowl Sunday! Head to Target where there is a wide variety of Crock-Pot Slow Cookers on sale. These deals are available online or in-store. Pay with your Target REDcard to save an additional 5% and get free shipping. Plus if your a Target REDCard holder you will save an additional 5% off your entire purchase, if you don’t have a Target REDCard you can sign up here for FREE!! !